18 In everything give thanks: for this is the will of God in Christ Jesus concerning you. These three actions are easy to say, but not always to do. Woodstock Christian School has depended on these actions long before the doors of the school opened and we still depend on them today! Through the 55 years WCS has been in existence we have grown, changed, and developed. We have made “imperfect progress” (a term I learned from Lysa Terkeurst), all by the grace of God. We owe it all to Him. This amazing facility, the huge playground, the classrooms full of students and the staff and board that give 110% in all they do! Thanks be to God for this place. The week of April 18-24 is set aside for us as a community to rejoice, pray and give thanks for this wonderful place. 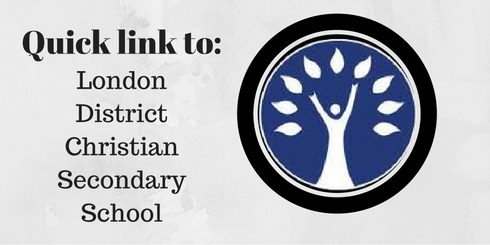 Christian Education Week 2015 is full of events to help us celebrate what God has given to us. Come to the Oxford Auditorium for a fun filled day! Pancake breakfast, games, marketplace, silent and live auction as well as your choice of Korean, Canadian or Dutch food for lunch! Look for a way to connect WCS to your church this Sunday. Sharing a prayer request for our school or handing out some of our flyers is a great way to communicate who we are. Several churches are using Christian Education Week bulletin covers. What a blessing! Join us at 8:30am for a morning of recognizing our volunteers. Our Mayor, Trevor Birtch, is coming to visit with us and we will share some special Thank You notes with our volunteers! Cake and refreshments to be served afterwards. Let’s take a day to appreciate our dedicated, friendly and courteous bus drivers! Send along a note or small token of appreciation to let them know you are thankful for what they do. A fun filled busy day at WCS! Art Walk Open House is a great time for anyone to come walk the hallways and enjoy wonderful student made art work. This is a excellent opportunity to invite neighbours, family and friends so they can also see what we are all about. At 1:30 we will enjoy our annual picnic lunch. Pack a lunch and join your children! Weather permitting we will eat outside, so bring a blanket as well. 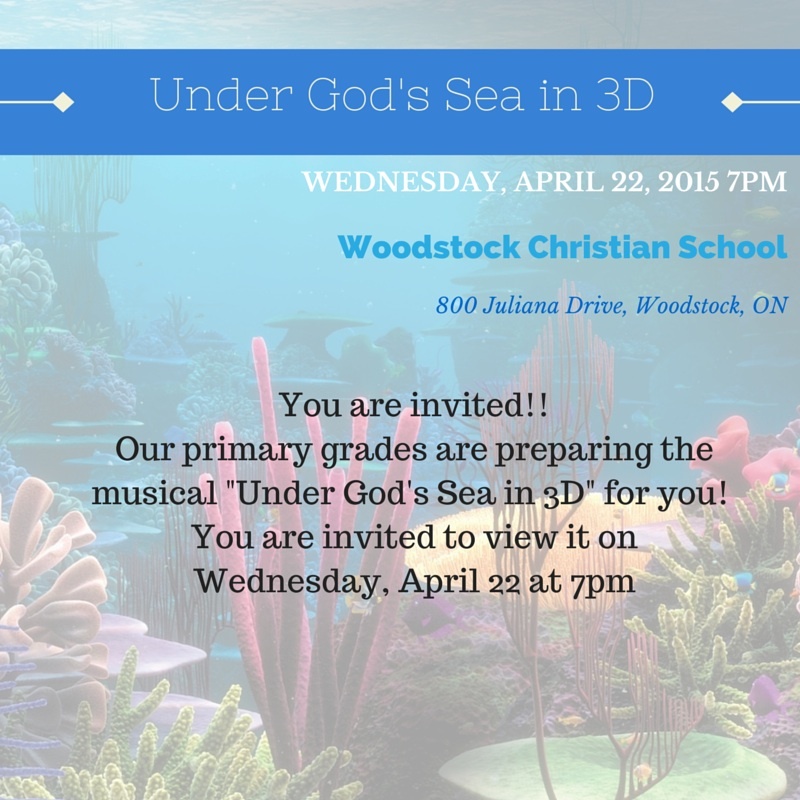 Under God’s Sea in 3D is a musical performed by our primary division. (Jk-Grade 4) We are excited to see this musical come together on stage! Please join us at 7pm in the school gymnasium. 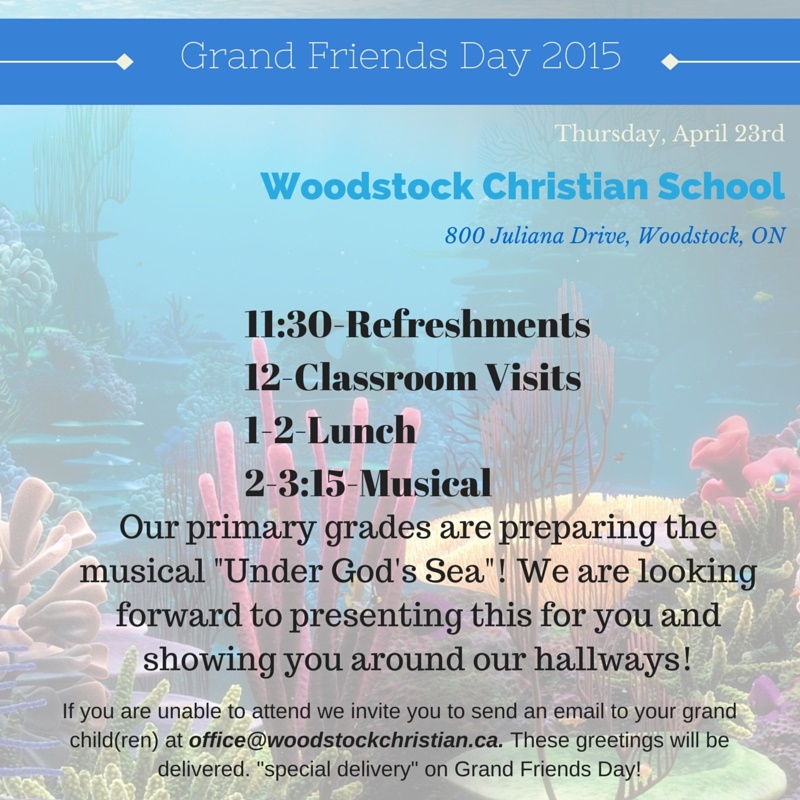 Invite your grandparents or senior friends to come for the day. Refreshments will begin at 11:30, 12-1 classroom visits, and 1-2 lunch (sub buns, salad, fruit, and veggies). We will end the day with some students presentations and a viewing of Under God’s Sea in 3D! 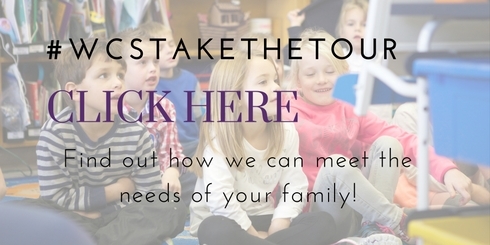 We, at WCS, look forward to seeing you and your family at many of these events!